ISRO, Amazon, Microsoft, and L&T among the recruiters for IIT Mandi Placement. 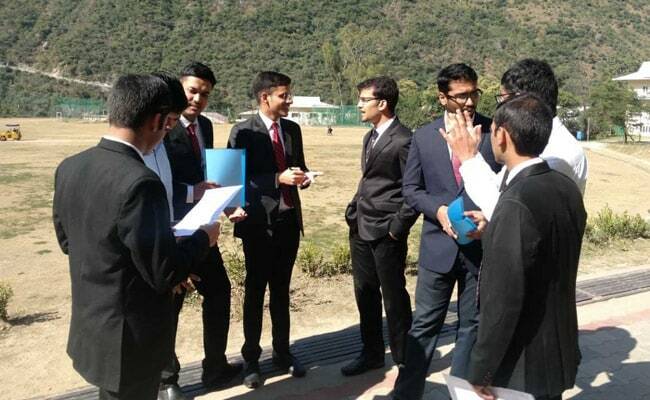 Mandi, Himachal Pradesh: Indian Institute of Technology (IIT) Mandi is set for another year of strong placements. The total number of companies registered for Phase I Placements has gone up to 45 (as of 22nd November 2018), compared to 34 in the preceding year. As many as 78 students have already been placed as on date (22nd November 2018) compared to 86 during 2017-18 Academic Year. Of these, 17 students got placed through Pre-Placement Offers, which are the result of internships in companies/firms converting to job offers. This includes two international PPOs made this year (2018-19). All 17 students have accepted the PPOs. The total number of companies that gave PPOs during 2018-19 was 10 compared to seven in 2017-18. The prominent sectors in which PPOs were made during 2018-19 are Software Development and Analytics. Speaking about the placement strategies, Dr. Varun Dutt, Advisor, Career and Placement Cell, IIT Mandi, said, “We are hosting separate drives for Core and Information Technology (IT) branches. This separation is helping the students to better decide which companies to sit for and hence reducing overlaps”. “This year, we are keeping the placement process longer per company to give more time to companies to conduct their process, reducing stress on students. Furthermore, we are also inviting non-core companies to provide more opportunities to students,” Dr Dutt added.